For the first time in 10 months, prices of new homes in China moved up by 0.05%, according to the China Real Estate Index System (CREIS) which was a survey conducted on 100 Chinese cities. In spite vows of continuing property curbs made by the State Council, the property market in China still received some policy easing especially from local governments with growth-oriented goals for the next three to five years. CREIS, an affiliate of NYSE-listed SouFun Holdings (NYSE:SFUN), said in a statement that home prices in China went up 0.05% from May to June and now averages 8,688 yuan ($1,367) per square metre, based on prices in 100 Chinese cities. Beijing and Shenzhen recorded the biggest price gains in May with 2.3% and 0.8% increase, respectively, the survey said. CREIS said property sales declines eased for the first time, partly due to the efforts of local governments, who offer incentives to first-time property buyers. In the city of Yangzhou in Eastern China, the local government offered cash for those purchasing fully-furnished homes. 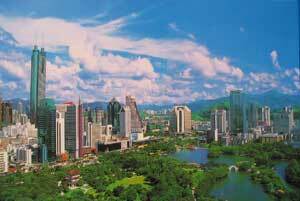 To encourage more buyers in their provinces and cities, Hunan and Chongqing lowered some fees. Reports from the China Securities Journal and the China Daily News said that the province of Hunan had fine-tuned the down payment fees, lowered the transaction taxes and fees in order for first-time buyers to afford homes in the area. In the municipality of Chongqing, on the other hand, urban residents can tap low-interest provident fund loans per household in order to purchase a home. An HK property analyst said these moves undertaken by the local governments can encourage non-speculative demand in the property sector while the current environment of buying restraints still holds.